Professional wrestling is a dangerous job, and it's not uncommon for wrestlers to pass away before their time. For some of them, the end comes before they even leave the ring — sometimes literally. Wrestlers tend to accumulate injuries, and some moves require them to trust their lives in their opponent's hands. All this means a great many things can go wrong during a match. A botched move, a previously undiscovered medical condition, or even a piece of faulty equipment can all turn a cool, scripted performance into a deadly serious situation. For instance, Cage Side Seats describes an incident from 2014 in which WWE wrestler Seth Rollins almost impaled himself on a nasty metal spike during a match. Rollins escaped his potentially lethal incident with a scare and an unpunctured torso, but sadly, many of his colleagues have been less fortunate. Here are the stories of the wrestlers who left everything they had in the ring, including their lives. Sometimes, one wrong move is all it takes to turn a normal sparring match into a tragedy. Brian Ong and Dalip "The Great Khali" Singh found this out the hard way in 2001, when Singh accidentally killed Ong in a dramatic training ring mishap. According to SLAM! Sports, Singh and Ong, who were working for the All Pro Wrestling (APW) promotion at the time, were training as opponents. Singh executed a flapjack on Ong, but the move went wrong: Ong, who was already struggling with previous injuries and concussions, was seriously injured and died a few days later. However, RVCJ writes that the incident wasn't a case where the massive Singh was clumsily manhandling his fellow wrestler. Instead, it was Ong who botched the move: A flapjack is executed by lifting the opponent up and pushing them in the air, so they land on their face and chest when they hit the mat. Instead of going along with this, Ong held on to Singh's shirt and came down hard, severely hurting his head and spine. As such, Singh never faced any repercussions for the dramatic accident. The APW, on the other hand, found itself in seriously hot legal waters. According to Ringside Report, the fact that APW allowed Ong to keep working despite his many injuries ended up costing the promotion around $1.5 million in settlement money. 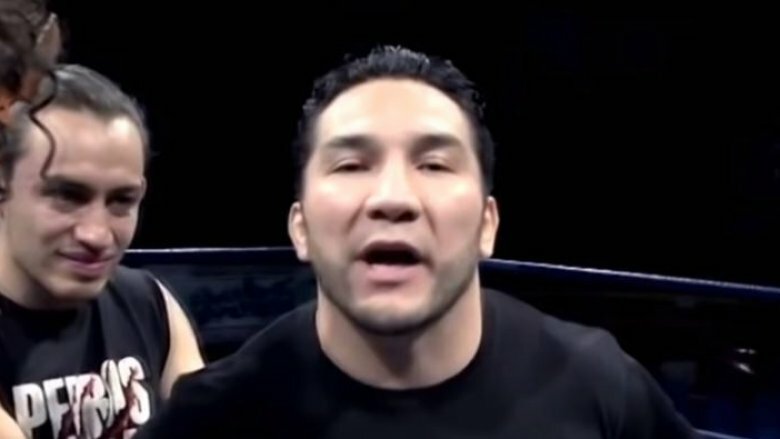 On March 21, 2015, a Mexican wrestling legend called Hijo del Perro Aguayo died. Syracuse.com describes the strange way the popular luchador, whose real name was Pedro Aguayo Ramirez, met his fate in a match where he faced another lucha libre superstar, Rey Mysterio Jr. The tag team brawl pitted Aguayo and his partner Manik against Mysterio and Extreme Tiger. Unfortunately, the match ended in a tragedy when a flying kick from Mysterio connected with Aguayo. The impact threw Aguayo into the ropes, where he was left unconscious and kneeling. The match went on for two minutes before the other wrestlers and the referee realized the man dangling in the ropes was actually seriously hurt and stopped the match. However, nothing could be done to save Aguayo: His vertebrae had snapped when his head hit the ropes. The Los Angeles Times reports that his ultimate cause of death was a heart attack, brought on by a cervical stroke from his broken neck. Unsurprisingly, the incident deeply shocked the apologetic Mysterio, who had unwittingly caused his friend and colleague's untimely demise. However, Aguayo's family understood the situation, and asked Mysterio to act as Aguayo's pallbearer. According to ESPN, Mitsuharu Misawa is to Japanese pro wrestling what The Rock and Hulk Hogan are to the American version. 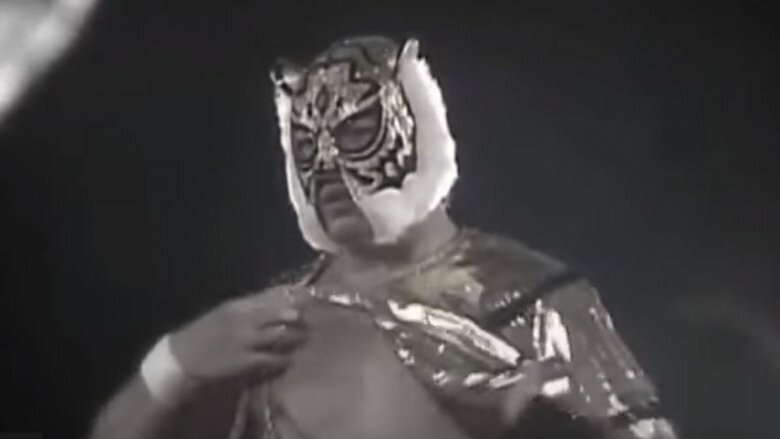 Misawa rose to fame in the 1980s as Tiger Mask, a character who … wore a tiger-themed mask. He was so popular that when he unmasked in 1990, his fame only increased. In 2009, Misawa was a 46-year-old veteran who had been named professional wrestler of the year three times, and was the owner and founder of the Pro Wrestling NOAH federation. He also still competed in the ring himself. SLAM! Sports describes the tragic match that cut Misawa's stellar career short. He and Go Shiozaki were teaming against Saito and Bison Smith at an event in Hiroshima on June 13, 2009. Saito gave Misawa a back suplex — a fairly common move that both men must have been extremely familiar with. However, what happened next shows that nothing in wrestling is truly routine, and even the most basic moves can turn into tragedies. Misawa didn't move after the impact. The match was immediately stopped. All the wrestlers surrounded the ring, and the crowd softly chanted Misawa's name as doctors and nurses tried to administer CPR to the fallen legend, who the Japanese media reports was already turning purple. Misawa was declared dead at a hospital, though he was likely already lifeless before he was moved away from the ring. According to Cage Side Seats, his cause of death was heart failure. 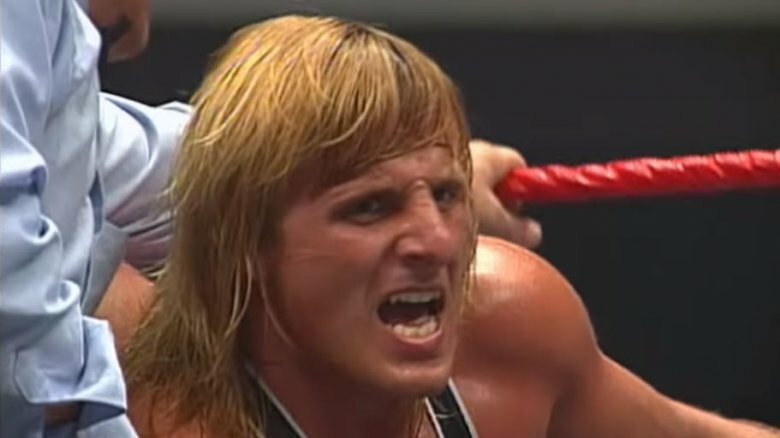 Owen Hart is known as the brother of Bret "The Hitman" Hart and a scion of the legendary Hart wrestling family. 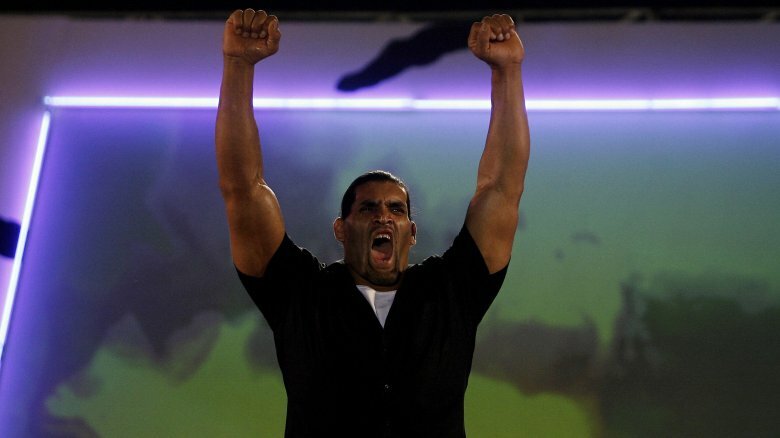 He's also known for one of the most dramatic in-ring deaths in the history of professional wrestling. In 1999, Hart's gimmick was a masked superhero character known as Blue Blazer. The WWF decided to give him a fitting entrance for his appearance on the "Over the Edge" pay-per-view show on May 23: Because he was a superhero, the company would make him fly. They set up an elaborate system of wires that would lower the Blue Blazer to the ring from the rafters above, creating a truly magnificent effect. CNN describes just how badly this went wrong. The system malfunctioned while Hart was 78 feet above the ring and sent the helpless wrestler plunging down, where he hit the top rope and then bounced into the ring. Though the incident never made it to television, the 16,000 people at the Kemper Arena witnessed the futile attempts by the medical staff to revive Hart, who died of internal bleeding. At first, some of the audience members thought the whole thing was a stunt and that the falling figure had been a doll. However, this impression wouldn't last long. The ring announcer soon informed the audience that what had just happened was completely unscripted. Before the event was over, the WWF commentator Jim Ross announced to the world that Hart was dead. 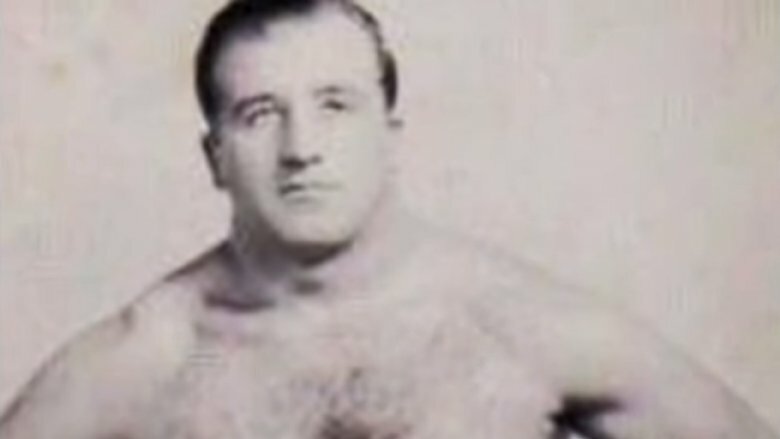 Mal "King Kong" Kirk was a well-known British monster heel, and a frequent tag team partner of the even more massive Giant Haystacks. According to the BBC, the former rugby player did not use a gimmick: His 350-pound frame was more than enough to intimidate his opponents. On August 23, 1987, Kirk worked with Shirley "Big Daddy" Crabtree, who said Kirk had the strength of three people. Kirk and Big Daddy faced each other at the Hippodrome of Great Yarmouth. The match proceeded exactly as planned right up until the end, when Big Daddy gave Kirk his finishing move — a big splash that saw him jumping on his prone opponent. Kirk never kicked out from that finisher. The 50-year-old powerhouse was left lying in the ring, but it wasn't the finishing move that killed him. An inquest of the incident discovered that Kirk died of a pre-existing heart condition. 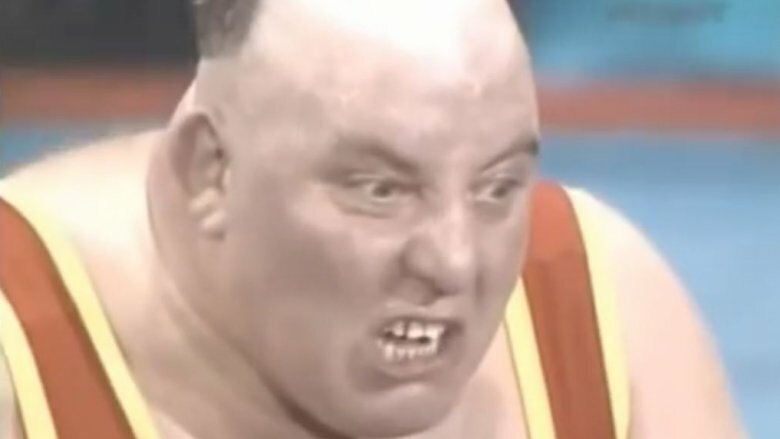 Big Daddy was cleared of all responsibility, and even King Kong Kirk's widow said she held no bad feelings against her deceased husband's final opponent. Historical Dictionary of Wrestling says the annals of sports entertainment remember "Iron" Mike DiBiase — the adoptive father of the famous "Million Dollar Man" Ted DiBiase — for two things. The first one was possibly his strangest contest, a 1963 match against Archie Moore. Moore was a former light heavyweight champion who had refereed one of DiBiase's matches and gotten on the wrestler's nerves. DiBiase decided to challenge Moore to a legitimate boxing match. This went roughly as well as could be expected: Moore defeated him easily by a technical knockout in the third round, as the cuts above DiBiase's eyes made it impossible for him to continue. The other, far less amusing incident he is remembered for is his premature death in Lubbock, Texas. On July 2, 1969, the 45-year-old DiBiase squared off against Man Mountain Mike when suddenly he had a heart attack in the ring. Fellow wrestler and future WWE Hall of Fame inductee Harley Race attempted to give him CPR on-site, but to no avail. Iron Mike had wrestled his last match. Wayne Van Dyke, aka Richard Delicious, was an independent wrestler working Florida's small promotions. 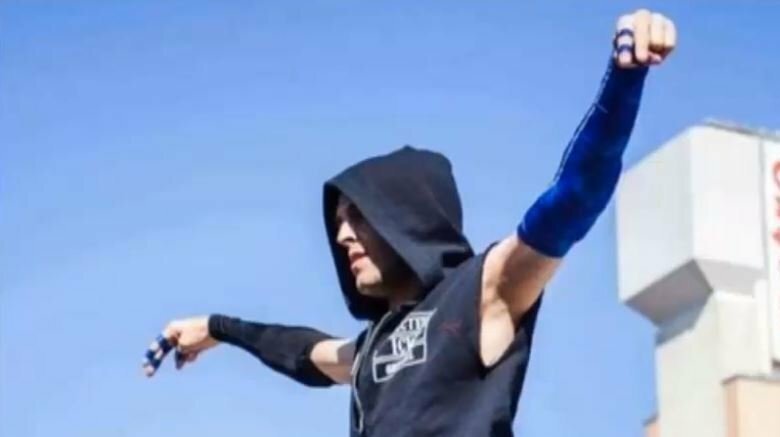 According to Wrestling News, he was just 29 years old when he suffered a series of heart attacks that started during a tag team match at an event arranged by the Ronin Pro Wrestling promotion. Sportskeeda reports that Van Dyke complained to his tag partner that he wasn't feeling well and suffered the first heart attack right after tagging himself out. After that, things went from bad to worse. The attempts to give him CPR on the scene left Van Dyke with at least one broken rib and a punctured lung. He then suffered a second heart attack on his way to the hospital. When he finally reached the facility, he had a third one. At that point, hospital staff had to put him in a medically induced coma. Unfortunately, the damage was too much for his system, and Van Dyke's family soon confirmed the wrestler's passing on Facebook. 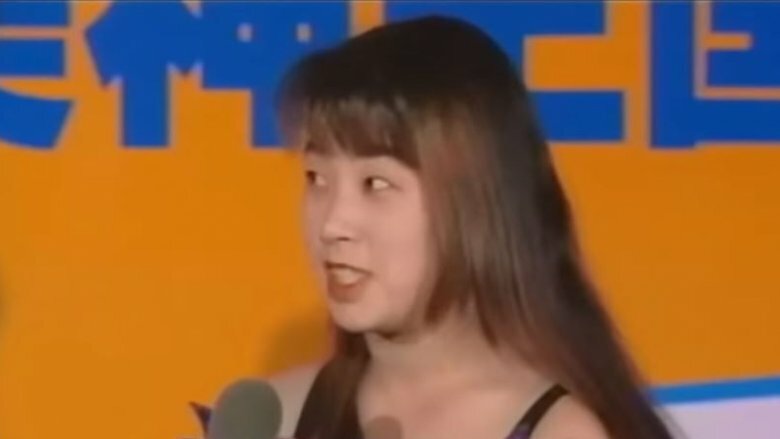 According to the New York Times, Japanese wrestler Plum Mariko died in the ring after her opponent power bombed her in 1997. Revolvy recounts that the match in question was a tag team event where Mariko and Command Bolshoi faced Mayami Ozaki and Rieko Amano. The match ended when Mariko took a punishing Ligerbomb from Ozaki and was knocked out cold. It wasn't until after the match that Ozaki and the others realized Mariko still hadn't moved, and was now snoring — which was a sign that her brain was bleeding. Quebrada reports that Mariko was rushed to hospital but even surgery couldn't save her. The 29-year-old died of brain damage. Mariko had accumulated a collection of nasty injuries over the years, including multiple concussions and an undiagnosed brain abscess. Doctors believe she died because of the combined effects of these injuries, rather than a single one from the Ligerbomb. They also said that if she had been examined earlier she likely would have lived because no doctor would have let her wrestle in her condition. Plum Mariko's was the first in-ring wrestling death in Japan. What makes her fate even more tragic is that the signs of brain damage were there. She had complained to her fellow wrestlers about headaches and had become forgetful in the ring. Instead of reacting appropriately to the problem, the promoters had just refused to push her to a higher status due to her sloppy work. Like everyone else on this list, Matt "Riot" Lowry died in the ring. However, poor Lowry didn't even get much of an audience. According to Wrestling News Source, Lowry was participating in a routine training session when a bump went awry. 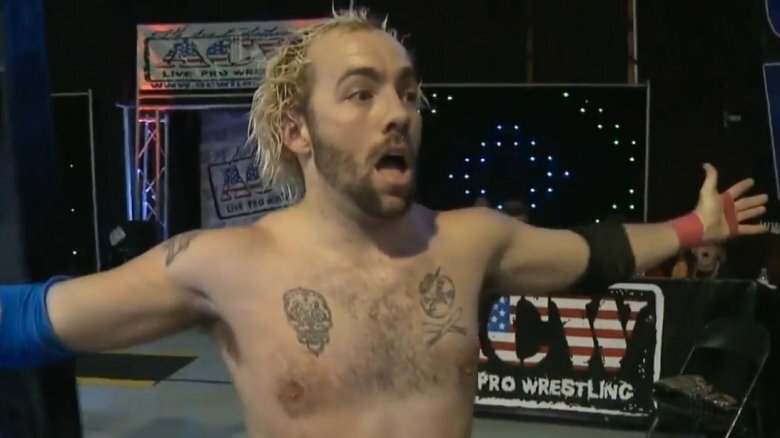 Bob Magee of Online World of Wrestling has some more details about the incident: On September 15, 2009, the Ohio-based indy wrestler was training at ECW Arena with some other wrestlers who were working with the CZW promotion. After a ring workout, Lowry suddenly became dizzy and collapsed. He was immediately taken to hospital, but it was too late: The wrestler was declared dead just 14 hours later. He had suffered a fatal brain hemorrhage. To make a tragic story even worse, Lowry was only 21 years old. At the time of his death, he was trying to get his beloved wrestling career back on track after losing his mother the previous year. Dan "Spider" Quirk was a kid that seemingly everyone liked. Adam Dolan of Pro Wrestling Insider describes him as a talented, passionate up-and-coming indy wrestler who worked with various promotions and was part of the close-knit Coastal Championship Wrestling community. Apart from wrestling, he did a ton of work behind the scenes and even ran the CCW website. He had a number of close friends in the industry. And then, on May 28, 2005, tragedy struck. 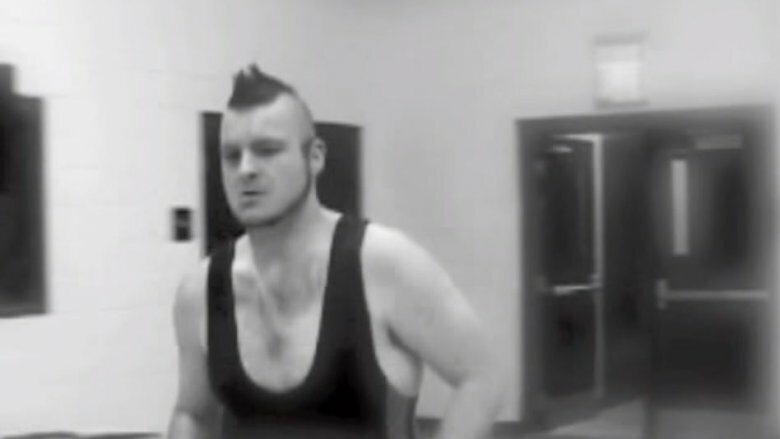 According to Online World of Wrestling, Quirk had a match at a Universal Championship Wrestling event in Taunton, Massachusetts, when he missed a moonsault and crashed head-first onto the floor outside the ring. Quirk was only 22 when he died. Later that year, the CCW promotion gave Quirk the indy wrestler's equivalent of a Viking funeral when they dedicated their WrestleJam 2 event to his memory. Before the show, they held a ceremony where the entire CCW roster came out to the ring and remembered their fallen friend, sharing their favorite stories with the audience. They even had some serious star power among them: Wrestling superstar Matt Hardy was a guest at the event, and respectfully stood by Quirk's friends and comrades for the entire ceremony. After some speeches and a highlight reel, the lights went back up. The promoter told the audience that the show would start soon, and it would be all right to laugh and have fun. After all, Spider would have wanted the show to go on. The in-ring death of Canadian wrestler Eric Denis in October 2017 was so unfair that it almost seemed like a bad joke. He was a fit, 40-year-old Canadian who had six children. He was an experienced pro wrestler who, according to the Independent, had been involved in the business for more than two decades. There were no big, botched moves or failed spots in his final match: Instead, his heart just suddenly gave out. Although qualified medical staff were present at the scene, they could not resuscitate Denis from the heart attack, and he was pronounced dead upon his arrival at the hospital. What makes this incident particularly awful is the specific event Denis was participating in that day. He wasn't just wrestling to pad his own pockets — instead, he was wrestling for charity. 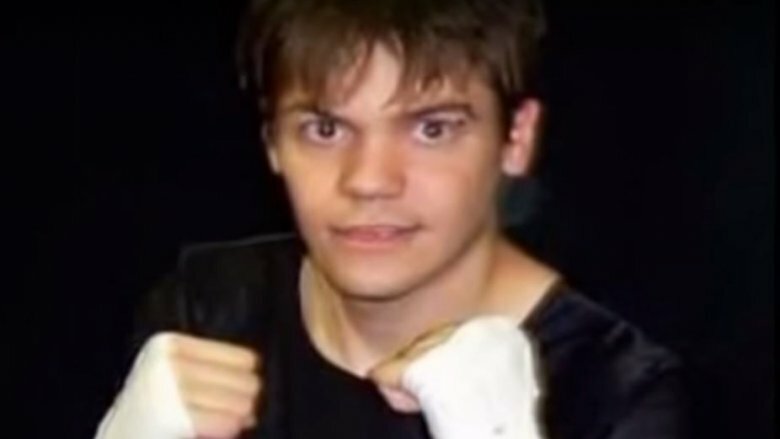 The fight gala during which he died was organized by Insane Championship Wrestling with the goal to raise money for Crohn's disease patients. According to Wrestling Scout, Luther Lindsay died while performing his finisher … and still won the match. However, that's just a small sliver of the man's story. Last Word on Pro Wrestling describes Lindsay as a notorious trailblazer for African-American wrestlers. A college athlete in the heavily segregated 1940s, he knew what to expect when he started working the National Wrestling Alliance territories in the 1950s. Of course, it didn't hurt that Lindsay was a strong and highly technical grappler who was trained by the legendary Stu Hart. Hart's granddaughter, WWE Superstar Natalya, says Hart always carried a photo of Lindsay in his wallet … because Lindsay was the only man who had ever made him tap out. 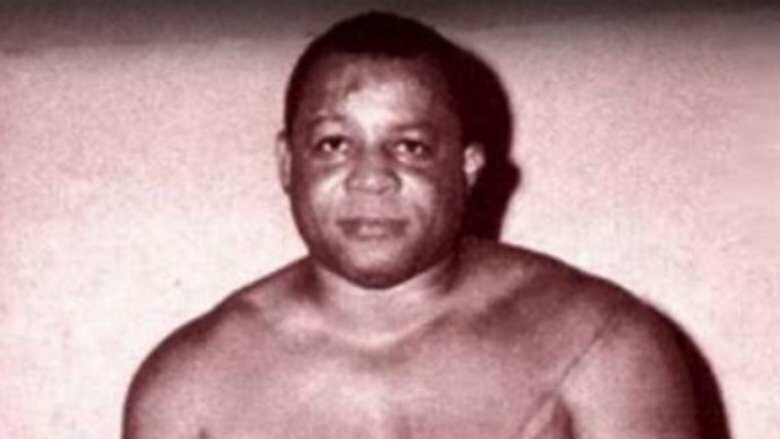 In the late 1950s, Lindsay became the first African-American to face a white man in the wrestling ring in the South. A riot seemed imminent, but Lindsay was so awesome that the crowd in Tennessee was on his side. Industry legend Lou Thesz openly admired Lindsay, and Hart continued to push him well after other African-American wrestlers started emerging and hogging his limelight. And although Lindsay did eventually die in the ring, he went like he had lived: as a winner. On February 21, 1972, Lindsay won his match against Bobby Paul by pinning the man with a diving belly flop. A quick three-count later, it was discovered that Lindsay was dead of a massive heart attack. Lindsay has since been posthumously inducted into the Pro Wrestling Hall of Fame and the WWE Hall of Fame.